While many plants, from flowers to palm trees, tend to grow in the direction of the sun or wind, some start leaning for unhealthy reasons. If your tree seems to be falling to one side or the other, you might be wondering if removal is the only solution. Use the following guide to learn whether an arborist can save your problem plant. How Did the Tree Start Leaning? In some cases, your off-kilter tree might be totally natural—the key is determining how the diagonal developed. If it started to falter gradually over time, it might simply be moving away from neighboring trees or structures, or trying to get more sunlight. However, if you walk outside after a storm to see your tree leaning 20 degrees further than it was yesterday, you’ll need to call an arborist. On the one hand, an unstable tree could fall on people, animals, or vehicles underneath it. On the other, the weight of its new stance could be ripping the roots buried deep in the ground, severely wounding the tree. Can an Arborist Fix It? Upon visiting your property, an arborist will decide whether the tree’s trunk and roots are in disrepair. If they haven’t been torn, they may be able to train the plant back into an upright position with cables and braces—similar to how back specialists use braces to realign bones. However, if the arborist sees a crack in your tree’s trunk, it may be too far gone. Another sign of serious damage is if over 50% of the branches have fallen or been ripped off. In this case, the safest option may be a complete tree and stump removal. If you’d like an arborist to take a look at a leaning tree on your property, get in touch with TrimCo Tree Experts of Midland City and Dothan, AL. Their trained and certified professionals can provide a detailed assessment of the tree’s health, as well as a suggested solution. 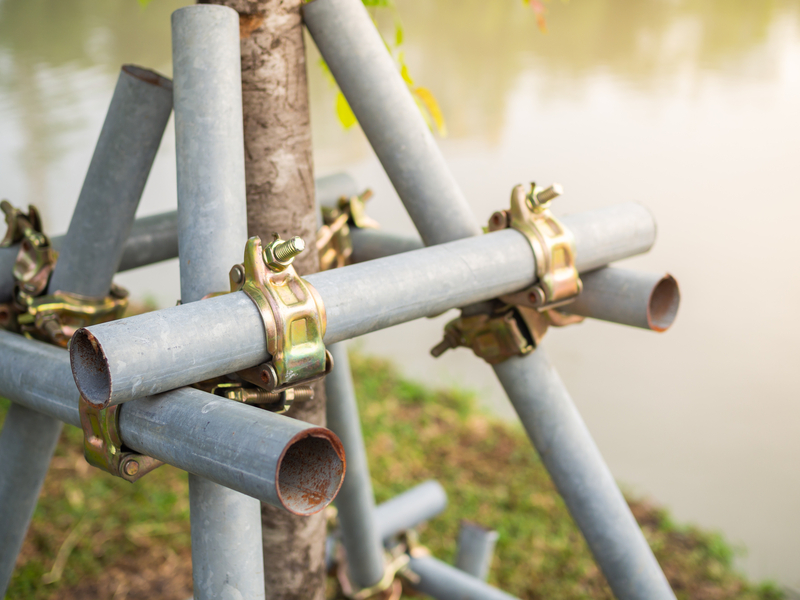 Whether your trees need pruning, bracing, or removal, call them (334) 791-2087 to schedule an appointment. You can also visit the website to learn more about their services. What Is Tree Clearing & Why Is It Important?